Perfect weather, great friends, great food. A terrific weekend!!! Thanks to Larry and Ronni for hosting us. made from instructions kindly provided by The Duchess. I found this rather amusing to do. Buying baby items is always fun, innit? Congratulations to Peggy, James, and baby Logan! We can't wait to meet him. Then over to Fetch, the funniest and funnest dog/cat supply store in the world. I bought frosted dog cookies for Molly and Sam: a monkey and a squirrel; and also some rawhide pretzel things for Josie and Boudreaux. then it was necessary to have a major lie-down. Unfortunately it meant that we missed Auntie Knickers' birthday party, but a restful afternoon. Much knitting, Olympics, pasta dinner, game night. You will know that things were unusual this weekend when I tell you I haven't been at this computer since Friday sometime. Oy. I did have the most wonderful, wonderful dinner with Mompriest Friday night. She is as perfectly delightful in person as in bloglife and more. I felt as though I'd known her forever. Blind luck, for me to be the one close to the conference and the big airport, which is why I got to meet her. We left the giant airport (DFW airport is bigger than the island of Manhattan, according to its website) and went to a Mexican restaurant, had a lovely dinner and conversation. Saturday we had a Requiem Mass for Gladys Maynard, a lovely lady in our parish and the wife of one of our choir members. Jud has been an organist, professor of organ, and musician all his life, and we have been blessed to have him in the choir. Gladys has been ill for a long time, but it is always hard to say goodbye. Afterward we had a reception hosted by the choir, and then I came home and fell out...my painful back of last week had really caught up with me. Sunday we had confirmation of 6 kids! 2 more went through the preparation but were unable to participate (one was actually graduating from the local high school right at that time!) Very exciting, and Bishop Sam Hulsey (retired, of Diocese of NW Texas) was there. I was Vestry of the day...I have to find some better shoes for that duty. By the end of the church day my dogs were howling and the back again, too. I went to lunch with some friends for brainstorming and came home and fell out again. My dear friend Cathy is looking for walking partners. Her goal is to walk 50 miles between now and Christmas - high aspirations!! But I'm going to give it a try. I walked to work this morning, which is 0.98 miles. I'm going to call that one mile, even - ya think that'll be ok? I used the same ticker design as Cathy, although it is also not likely to snow here, certainly not enough to build a snowman!! I am thinking of this as an Advent exercise, even though Advent won't really start until Sunday. As I told my super sister Barbara (who will walk a half marathon with the Team in Training this winter!! ), I love my Jazzercise and it is a great full body workout...but I need the meditative time that walking brings me. As Cathy calls it, it shall be Walking Towards the Light! So, I walk to prepare my mind and heart and body for the coming of the Lord. Here is my former student assistant, Tara, who is in the Peace Corps in Cameroon. 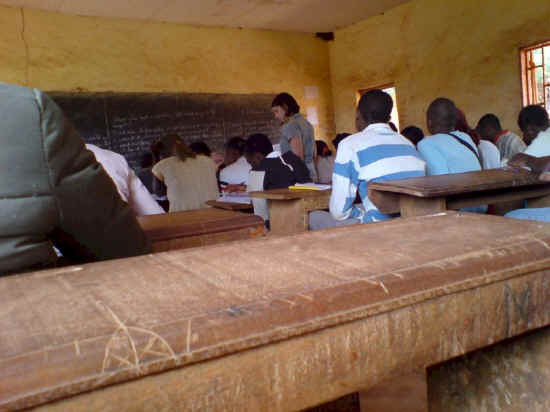 She is working as a teacher, as you see in this photo. 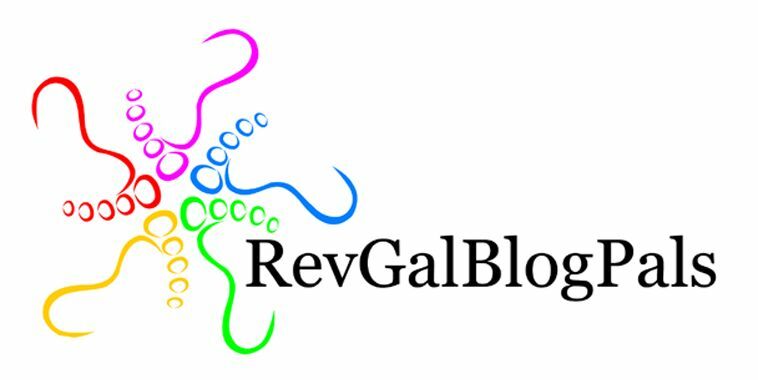 Her blog is here and I encourage you to check in on her...maybe leave a little shout-out...it is not an easy road and she is inspiring as heck.